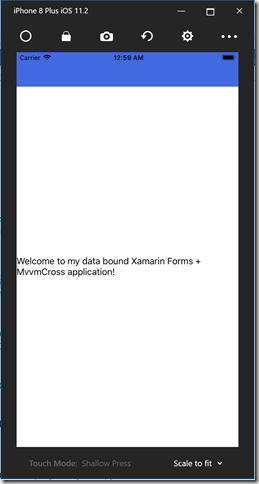 One of the awesome things about MvvmCross is that you can take the exact same set of ViewModels that you used for your UWP, iOS, Android applications and use them in a Xamarin Forms application. As we go through the MVX+1 series, I’ll make some space for talking about Xamarin Forms as well. When prompted, select Blank App, make sure all three Platforms are checked and make sure you select the .NET Standard option (Do NOT use the Share Project option). 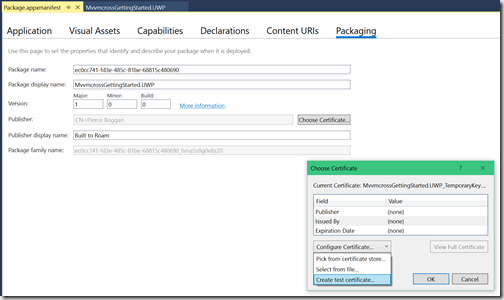 Note: You may need to upgrade to latest NuGet packages for all Forms projects before you can add references to the MvvmCross packages. 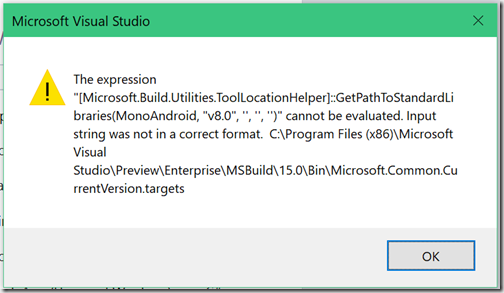 1>C:\Program Files (x86)\Microsoft Visual Studio\Preview\Enterprise\MSBuild\Xamarin\Android\Xamarin.Android.Common.targets(2088,3): error MSB4018: System.IO.PathTooLongException: The specified path, file name, or both are too long. 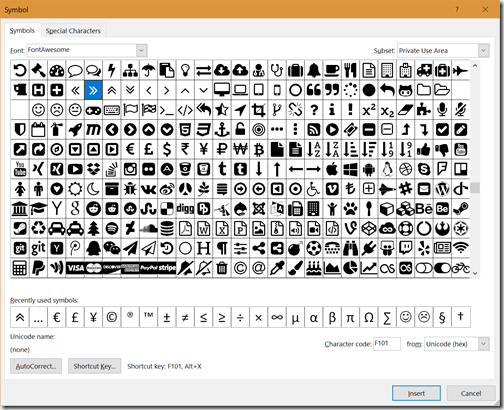 The fully qualified file name must be less than 260 characters, and the directory name must be less than 248 characters. 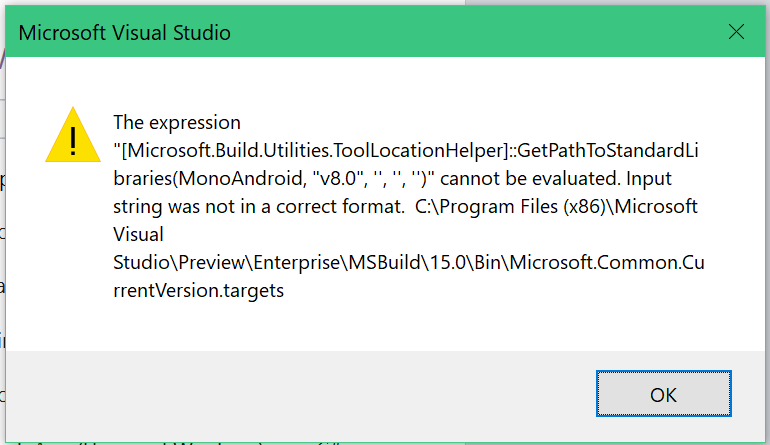 Note (2): If you’re using the preview build of Visual Studio, you may run into an error: “error XA4210: You need to add a reference to Mono.Android.Export.dll when you use ExportAttribute or ExportFieldAttribute.” If you do, you just need to Add Reference to Mono.Android.Export (search in the Add Reference dialog). We’ll start by creating a Blank Solution. Add a folder, ViewModels, and add a class called FirstViewModel. You may run into an error: “error XA4210: You need to add a reference to Mono.Android.Export.dll when you use ExportAttribute or ExportFieldAttribute.” If you do, you just need to Add Reference to Mono.Android.Export (search in the Add Reference dialog). To get this to work I would suggest running the latest Visual Studio for Mac or PC. Hit me up on Twitter or Slack if you have any issues following the steps or running the samples. Progressive Web Apps–Are these a “thing” yet? - On iOS the ability to Add to homescreen isn’t available when using Edge or Chrome, despite the Share extension being a common across applications. - Lack of push notifications is a major annoyance from a user perspective – After installing iOS 11.3 I went and added the PWA version of Twitter (just go to https://mobile.twitter.com and add to homescreen). The app works great but the lack of any form of notifications is just crippling and means I now miss messages until I get prompted to go into the Twitter app. This alone is a reason for me to install the store version of the app. The upshot of this is that whilst Google is doing a great job in advocating for PWAs, the reality is that they’re still not ready for the prime time. Every day there are new technologies emerging; there are new frameworks available; there are new scenarios and devices to build for, so it becomes difficult as product owners, as developers, as technologists, to work out where to focus our attention. As we discussed in a recent article on App – Fomo before you jump into looking at technology it’s important to decide whether an app is even something you want to build. The true value of PWAs is that they are starting to bridge the cap between what the web can do today and the benefits offered by applications delivered by a store (eg place on the home screen, offline, push notifications). This in turn will ease make it easier to determine whether you truly need an app, or whether a modern responsive website (aka a PWA) will suffice. What’s a Progressive Web Applications (PWA) and Why does my website want to be one? My last couple of posts (App or not to App and Cross-platform applications – PhoneGap/Cordova, Xamarin, PWAs and now Flutter) have been discussing different aspects of build applications. In particular in my previous post I discussed deployment models as being one dimension of applications. In this post I’m going to focus a bit more on the one of the hottest topics going around at the moment, Progressive Web Applications, or just PWA for short. If you’re new to this topic, I’d suggest a quick detour across to the Google developer site where they have an entire section dedicated to PWAs, and it’s a great starting point to understand the importance of PWAs and the experience that a good PWA should deliver. Side note: I had to laugh when I first went to the PWA page on the Google developer site as it talks about “A new way to deliver amazing user experiences on the web”. This is really what happens when you let the marketing get out in front of technology. Unfortunately I’ve see this type of propaganda so many times (Flash, Silverlight, HTML5) that it actually makes me a bit nervous as I start to think about another learning curve. Now that I’ve assigned you a bit of reading, let’s talk about what all the fuss is about. 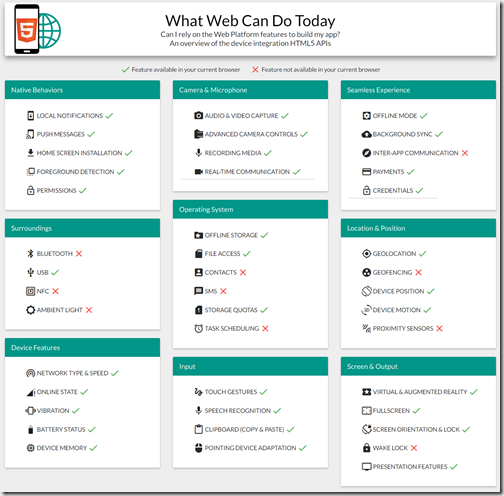 After scanning through the PWA checklist it becomes very evident that there are a couple of key topics: security, offline, seo and notifications. Let’s break these down, with specific attention to why they’re all important aspects of a great application (not just a PWA). Whilst not the first topic that comes up in regards to PWAs in the checklist it’s very evident that security first is still a key mantra when building the next generation of applications, which is made clear by the first item in the checklist which indicates that all content should be delivered across HTTPS. In the context of application development there has been an increase flow towards the use of HTTPS (for example the release notes for iOS9 by Apple indicated that all new apps should use HTTPS). Without HTTPS it’s just too easy for any third party to intercept and read/modify the traffic to and from the application. This is a biggie when it comes to PWAs and in fact you could argue that this is probably the most significant departure from traditional web development. The introduction of service workers that can intercept requests, cache and dynamical change request behaviour opens the world to building intelligent offline-enabled applications. However, from an offline-ready application development perspective the current thinking in this space seems relatively immature, with most of the priority being placed on caching the components that make up the application (ie the HTML, CSS, JS that make up the application), rather than offline data and synchronisation scenarios. Optimising your application for search has been one of those things that every developer says they’re going to do but rarely do they do it, and seldom is it done well. In terms of application development, one of the challenges faced by developers is how to define a set of deep links that will resolve both on the web and in the app. In structuring an application, it should be possible to provide an external link to any part of the applications, and in an ideal world the the link can be shared via any method, whether it be a link on social media, or via private correspondence such as chat or email. The upshot is that by structuring an application this way, you’re already half way there to making it indexable – you just need to make sure that the web application can be statically crawled so that relevant sections will appear in search results. Hopefully from this breakdown you can see that PWAs, whilst one of the hottest topics today, is far from “a new way to deliver amazing user experiences,” since application developers have been doing this since before the release of the iPhone. I guess the big distinction with PWAs is the “on the web”…. as in “please developers, stop building web sites with a crappy user experience, and start building rich applications that delight the user”. Perhaps some day we’ll break the dependency on the request-response model that has for so long governed the design of web sites. - #0 Don't make an app unless you absolutely have to. To be blunt, options 1-3 are all semi-painful – I’m not going to go into detail as to why, as that’s not the point of this post but needless to say that each one has their pros and cons, and none are what you’d consider an ideal development experience. Option 0 sounds like a great option and with the rapid development of Progressive Web Applications (with service workers being included by both React and Angular) it really does seem that not having to build an app is the way to go. (And particular note that the term “website” is not included here as according to Wikipedia a website is “a collection of related web pages” – personal opinion: if you still building for the web using the traditional post-back model (yes, looking at you ASP.NET) you’re building a website, not an app). Let’s ignore for the moment the distinction between mobile, web or any other qualifier about the type of an application or the target platform and instead, let’s focus on what an application is. According to Wikipedia an Application is software that causes a computer to perform tasks for a user. This is a pretty wide definition and essentially encompasses most software, whether it be a command line application, browser or window based application. However, if you were to ask most people what they thought an “App” was today, they’d probably give an answer that relates to installing an application from the Apple, Google or Windows Store – it seems like the notion of an App is in somehow attached to the distribution model. - An application that you simply download from the Internet and just run (it might download as a Zip file but the important distinction here is that there’s no installation process and no Store managing the application). This is by far the simplest distribution model. However, these days few applications are distributed this way as most operating systems distrust downloaded files from the Internet and will refuse to run them without them being “unblocked” first. - An application you install from a Store. Whilst this model did exist prior to the iPhone, it wasn’t really until the App Store launched that the notion of a single curated Store became mainstream. Now, most platforms have a Store where you can browse, search and install apps to suit your every need. Depending on the platform, the process for submitting, certifying and publishing applications varies, with different levels of quality and policy controls imposed in order to try to maintain a high quality bar for apps. The Store also takes on responsibility for distributing updates to application as they become available, as well as providing a mechanism for developers to charge for their applications. - An application you load in the browser. Most people don’t really consider websites that they navigate to in the browser as applications. However, websites are becoming highly functional and most no longer require a full post-back in order to load more content, improving the usability. In fact, browsers have tried to prompt web sites as pseudo-apps by allowing users to add a web site to a list of applications (for example the “Apps” icon that appears within Chrome under the address bar). 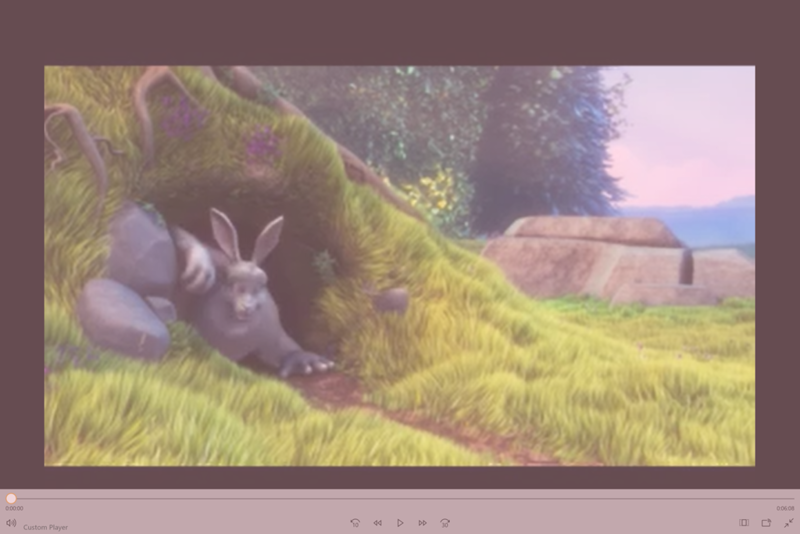 - An application you install via the browser. In contrast to adding a website to a list of applications within the browser, installing a website via the browser allows the website to take advantage of a lot of the benefits of applications installed via a Store. They can appear as an icon on the home screen (or list of applications installed on the device); they run without the browser chrome; they can receive push notifications and much more. So the question is whether the distribution model is what defines what an “App” is? When we embark on building an application do we need to lock ourselves into one of these distribution models, or can we pick multiple, or all of these distribution models. Or, is the distribution model different for each platform? To answer this we really need to consider the pros and cons of each mechanism and the corresponding audience reach it gives us, and whether it makes sense to choose a particular distribution model. At Built to Roam we build applications that target a wide array of different platforms, using a wide variety of technologies depending on the project requirements. One of the most challenging things faced by organisation looking to build any form of software is often not what should I build, it’s often what technology should I use to build it. Unfortunately this is also where the most cycles are wasted and the poorest decisions are made. Nirvana would be building the software once, and for it to be available on every platform and device type, able to be instantly updatable and have a rich and engaging user interface (and I’m sure there’s more things that needed to be bolted onto this list of “ideals”). However, the reality is that there are different device types and sizes; there are different technologies with differing capabilities; and different developer and deployment workflows. Rather than being able to make an absolute decision on the best strategy, companies are limited by their own field of influence. Too often this includes Gartner reports, media hype and both internal and contractors with whom the decision makers have a relationship with. In addition to the number of options that are available, the optimum strategy also evolves over time. For example, five years ago in Australia it made sense for organisations to start their investment in mobile apps with a fairly basic iPhone application. Today the market expectation is that a mobile strategy encompasses at least Android and iOS, phone and tablet, and with a comprehensive set of features. In fact some applications, don’t even have a web presence, finding that their mobile apps were sufficient for their business model. So the question is really whether it is possible to define the optimum strategy for a business and is it possible to future proof it? More importantly is – are you making the decision about the right thing? It would seem that making a decision about which native application toolset to use would be right but actually the web and some of the hybrid solutions solve so many challenges that native application developers face, it would be foolish to ignore them. Take for example the recent hype around Progressive Web Applications. There are some who believe this is just another round of hype about the newest buzzword to arrive on the scene but in actual fact whilst the name is new, the concept is not. Back even in the days of Windows Vista, there were desktop gadgets that essentially allowed parts of the web to run in a container in an offline capacity. PWAs are just the latest name to be given to this concept. Where PWAs are set to make a difference is that they are being widely backed (eg Google: https://developers.google.com/web/progressive-web-apps/ and Microsoft: https://pwabuilder.com) and they also arrive at a point in time where devices have browsers and rendering engines that are capable of delivering a high-performance web experience whether in-browser, or in a hosted web application. Do you think the market is ready for PWAs? or are native applications going to rule for the foreseeable future? As we get started with a new year it’s time to pause and think about how the app development ecosystem has evolved, what technologies continue or are emerging, and look at the decision matrix that will define what technology your next application is developed in. I’m going to treat this post as a bit of an intro to some of the technologies that I think are worth further investigation. When we talk about web apps, there is a natural assumption that these will be responsive web sites that will work across a wide range of devices and browsers. 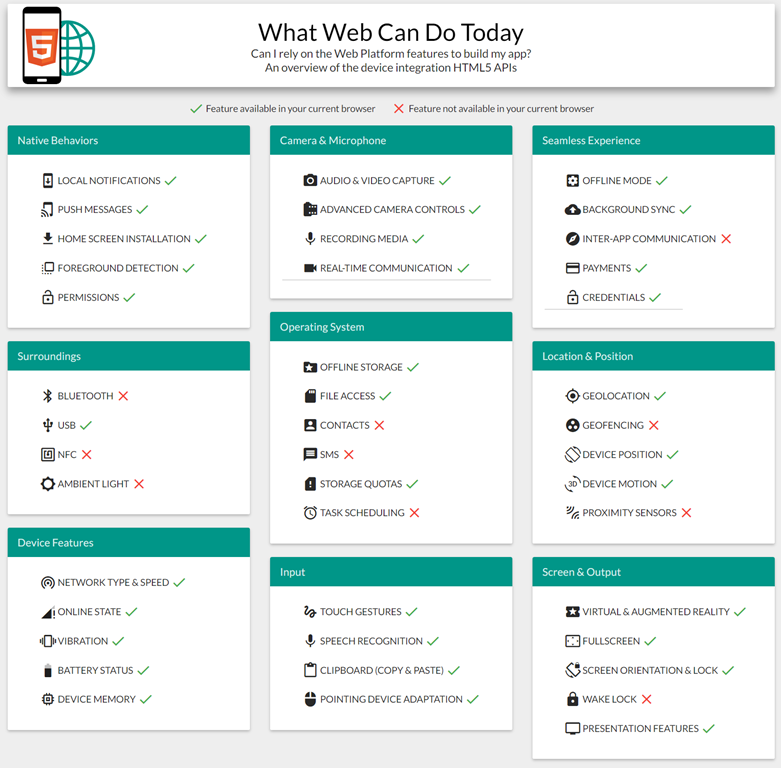 However, they can be divided further into what I would consider traditional web sites and single page applications. Whilst this division can be blurred, for example when you host an Angular application within a .NET core application, the point is that there is a difference in the mindset of the developers building the web app. Of course, this section includes the obvious ASP.NET Core, React and Angular. Whilst ASP.NET is still a valid choice, I specifically left it out of the list as I think most new projects will favour ASP.NET Core unless there is an impediment that requires full ASP.NET. Progressive Web Applications allow web developers to extend their applications to leverage more device capabilities. This is a particularly hot area of development for most platforms as this is seen as one of the best long term solution for minimising mobile development fatigue. Next in the progression are hybrid applications which combine web technologies with a platform specific deployment package – this sounds a bit cryptic but that’s because there are a couple of different models for this. Before we get to native platform tools and technologies, we’ll stop in on a long time friend, Xamarin. 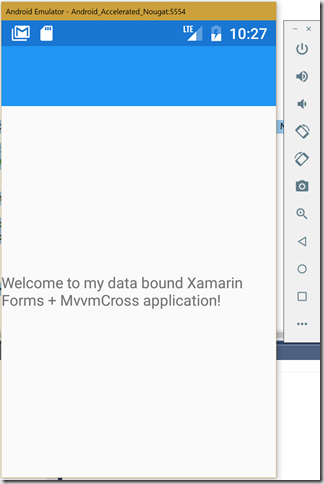 As with the previous sections there are again two options with Xamarin: traditional Xamarin, and Xamarin Forms. With the traditional Xamarin approach the developer is much closer to the metal and has a higher degree of control. However, the Xamarin Forms option allows for user interfaces to be rapidly developed once, and then feedback/issues are resolved on a platform by platform basis. As this is hopefully one in a sequence of posts on the topic of framework selection, I’d love some feedback on what technology you think will be important to you and those you work with – comments are off but hit me up on twitter @thenickrandolph if you have thoughts on this. 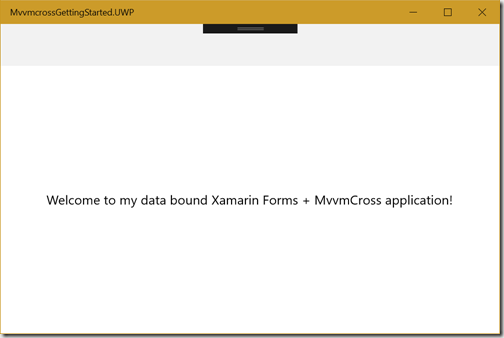 My last two posts (part 1 and part 2) outlined all the steps necessary to get a new Xamarin Forms with MvvmCross project setup. 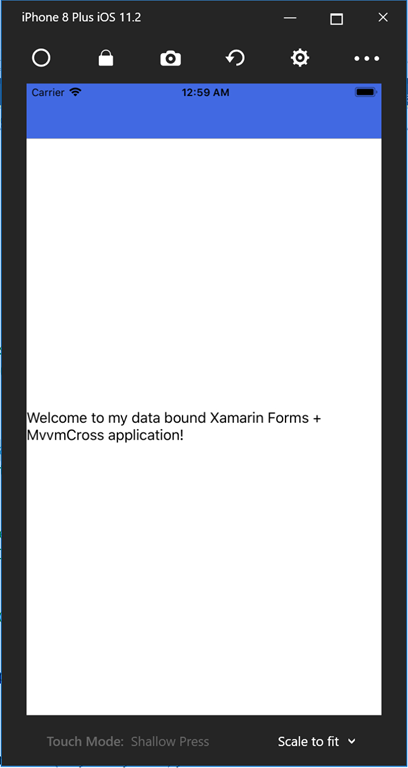 What I thought was going to be a simple post ended up being much longer due to all the unnecessary steps to setup both Xamarin Forms and MvvmCross. I’ve recently been contributing a little to MvvmCross and one of my concerns with it is that there are just way to many things that you need to get right in order to get it to work nicely with Xamarin Forms. If you don’t follow one of the introductory posts, such as the one provided by Martjin van Dijk, you’ll probably start hacking around with the numerous extension points in order to get it to work. I spent time over the last day seeing if I could reduce this initial friction to getting started. All pages need to inherit from the Mvx equivalent (eg MvxContentPage instead of ContentPage) – the Mvx equivalent expose a ViewModel property which can be useful but is not required in order to take advantages of data binding to the corresponding ViewModel since all Forms elements have a BindingContext that’s used for this purpose. The actual requirement here is for views/pages to implement IMvxView but unless you need the ViewModel property this shouldn’t be a requirement. You need to create a class that inherits from MvxApplication which can do things like register services but most importantly defines what the starting ViewModel is going to be. This is kind of unnecessary if the only thing that it’s doing is defining the starting ViewModel, although I do understand the desire to have the starting ViewModel defined somewhere that is independent of the head projects. All ViewModels need to inherit from MvxViewModel or implement IMvxViewModel – again this is somewhat unnecessary since ViewModels should just be a regular class. Now I do agree that in most cases your ViewModel is likely to implement INotifyPropertyChanged, so this additional requirements isn’t a massive addition but needless to say it shouldn’t be a requirement. Next, follow the early steps in part 2 to add an additional project for your ViewModels, LowFriction.Core, and subsequently add references to MvvmCross (to all projects) and MvvmCross.Forms (to all projects except the Core project). 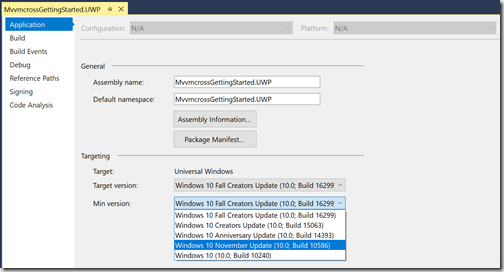 Add a reference to the BuildIt.MvvmCross.Forms NuGet package to all projects except the Core project. A primary requirement here is that the Core project should not have a reference to the view technology, which in this case is Xamarin Forms – if you find yourself adding a reference (directly or otherwise) to Xamarin Forms to your Core project, you’ve done something wrong and you should rethink the decisions that led you to that point. In your Core project you will need to create ViewModels that map to your pages, and they need to implement iMvxViewModel – again I couldn’t find a work around for this requirement. MainViewModel inherits from MvxViewModel. You can see here that the SetupFromViewModel class accepts the starting ViewModel as a parameter. If you’d prefer to define the starting ViewModel in the Core project I recommend defining a class that inherits from TypedMvxApplication, specify the starting ViewModel as the type parameter, and then use the SetupFromApplication class in App.xaml.cs. And we’re done! Build and run on each platform and you should be good to go. As you can see there are significantly fewer steps involved in getting started, and few additional classes to be created. I do note that there is still room for improvement and I feel that as frameworks go MvvmCross has been developed with extensibility in mind – which is why I was able to streamline the getting started experience so much. 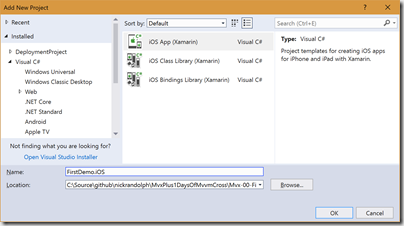 Over the past 6-12 months we’ve seen dramatic changes in Xamarin Forms and the support within Visual Studio. The most recent update, which I covered in my previous post, included a number of new features for cross platform developers. However, despite these updates, getting started with cross platform development is still quite complex. 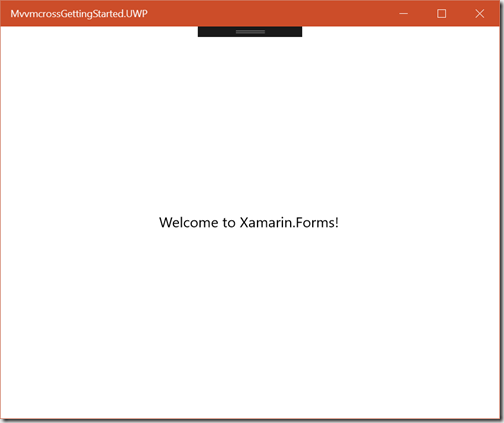 In this post I wanted to take the opportunity to reiterate how to start a new Xamarin Forms project. From there I’ll cover adding in MvvmCross and discuss the importance of having a framework that will make development that much easier (for the record MvvmCross isn’t the only option, there are plenty of great alternatives such as Prism and FreshMvvm). Before getting started, make sure you’ve run the Visual Studio Installer and have upgraded to the latest stable release of Visual Studio. The team at Microsoft have been putting a lot of focus on stability and performance, so upgrading to the latest version does help (still not perfect but a marked improvement over this time last year!). Upgrading Visual Studio continually can be a bit of a pain, especially since Microsoft haven’t quite worked out how to automatically download updates in the background for VS – meaning that you have to stop whatever you’re doing whilst the updates download and then install. Recommendation is to run the installer periodically at the end of your day, or when you’re heading to a long meeting; hopefully the installation is complete by the time you return. 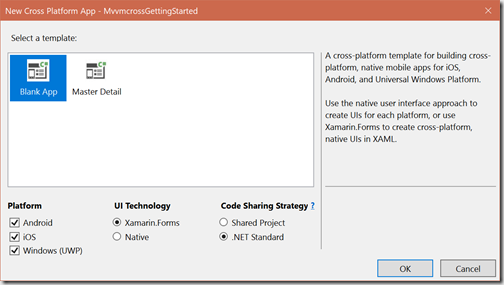 Now that you’re all up to date, let’s create a new solution by selecting the Cross-Platform App (Xamarin Forms) template from the New Project dialog. 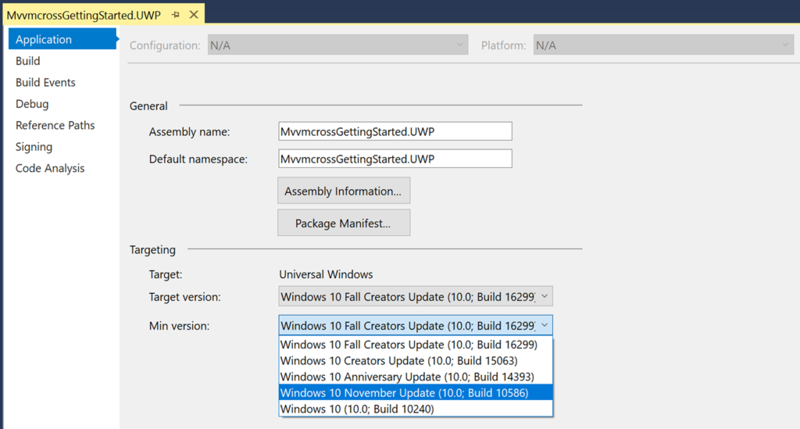 Note that if you don’t see this template, you may have to adjust the workloads you selected in the VS Installer so that you have all the cross-platform development components selected. 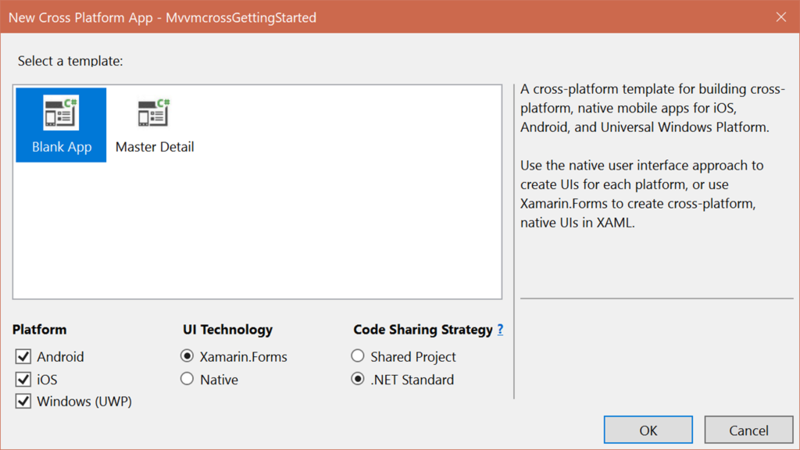 After clicking OK you should be presented with a second dialog that allows you to specify parameters for how your cross platform project should be setup. As you can see from the image, I recommend always selecting all three platforms (even if you’re only planning on targeting one or two of them initially); In this case we’re going with Xamarin.Forms with a simple Blank App; The last option I’m particularly passionate about – do NOT select Shared Project – for the good of your project, the team and general good programming practice, please select the .NET Standard option for Code Sharing Strategy. 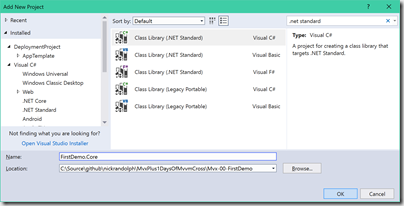 At time of writing the .NET Standard option is only available in the preview build of Visual Studio; the stable build uses a Portable Class Library, which is still preferable over using a Shared Project. This time clicking OK will create a new solution. 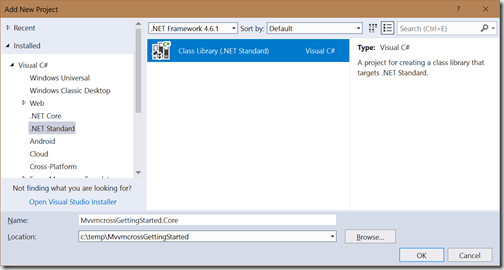 After fixing up the csproj file you’ll need to add the existing projects into the solution file. Note: When building the UWP project I was seeing a build warning stating “warning APPX0108: The certificate specified has expired.” which I thought was a bit odd since I had just created the project and normally the certificate that is used for debug builds is created alongside the new project. 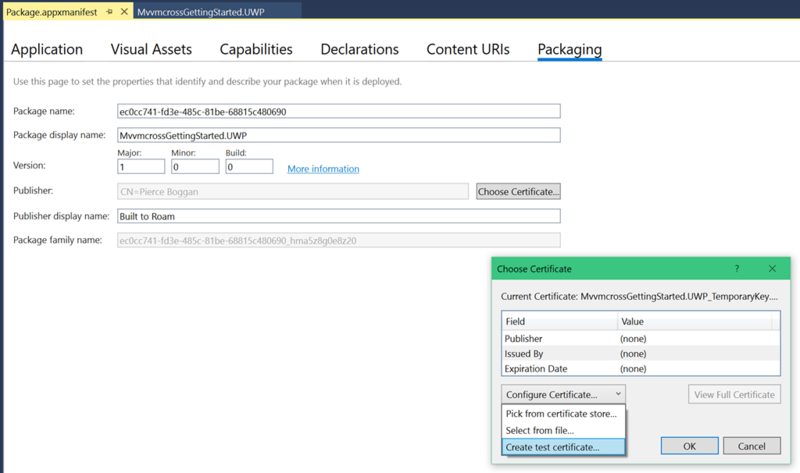 Double-clicking the package.appxmanifest and switching to the Packaging tab I see that the Publisher display name isn’t set correctly – I’m guessing at this point that the cross platform template contains an existing certificate, instead of creating one each time. You can easily fix this by changing the publisher display name, clicking Choose Certificate and then from the dropdown select “Create test certificate”. Now when you build the project you won’t see this warning – I’m guessing this is also a bug in the preview version of the cross platform template. 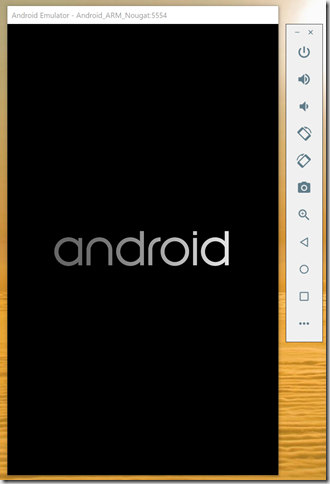 For Android I’m using the Google Android Emulator that can now be installed using the Visual Studio Installer. This is significantly better than it used to be, and the images are much more recent than those for the Visual Studio Android Emulator which has been deprecated now. For iOS, as I’m working from a Windows laptop, I use the Remote Simulator which works really well and means I don’t need to continually VNC to my MacMini or have to deploy to a real device. Again there was an issue with the iOS template in that the MinimumOSVersion was set to “11.2” instead of just 11.2 in the Info.plist file. 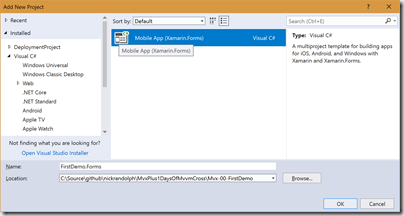 Correcting the MinimumOSVersion will allow your application to run on a device or emulator. After upgrading all the NuGet packages, double-check to make sure all platforms build and run. Now’s a great time to check your solution in to your repository of choice (Note: make sure you check in the pfx file that is part of the UWP solution. You’ll probably have to manually add this file to your repository as most repositories ignore pfx files by default). Over the last 6-12 months the debugging experience for Xamarin applications on both iOS and Android has got significantly better. 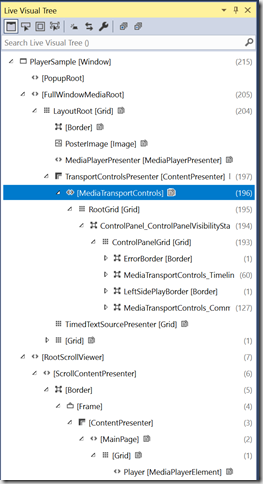 I posted recently about my discovery that the Google Android emulator was actually quite good (https://nicksnettravels.builttoroam.com/post/2017/10/11/Hey-who-moved-my…-Visual-Studio-Emulator-for-Android.aspx), and whilst the build and deploy process is still painfully slow on Android, it’s definitely getting better. 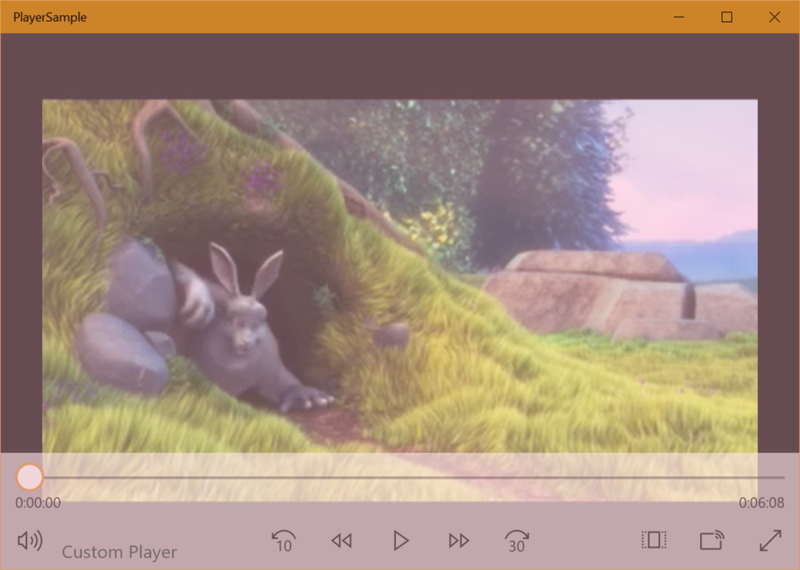 Now with Live XAML Previewing supported in the emulator, at least the iteration whilst making UI changes will be quicker. I’ve also been using the remote iOS simulator – particularly at home where I use a remote build server that is on the other side of the room, it’s painful to have to deploy to a real device. I have seen some issues where debugging with the remote iOS simulator seems to just lock up but I think that was only an issue in the preview of VS mixed with the latest Windows Insider build (unfortunately neither team seems to care much about stability with their preview builds ). Whilst I’m talking about doing iOS development, the other significant improvement in 15.5 is the messaging regarding connecting to the Mac build agent. In the past this has been limited to success/fail; if you wanted any more details you really had to go hunting in the log files (usually it ended up being a result of a mis-match of SDK versions between the build agent machine and the machine with VS installed). The dialog for connecting to the Mac build agent has a nice progress information pane at the bottom that shows what step the connection manager is at and reports any issues – nice work MS, this is really, really useful! Ok, I can’t end this post without pointing to the fact that Microsoft has finally worked out how to get the elephant out of the corner of the room, and by this I mean the support for PCLs v’s .NET Standard for new projects. 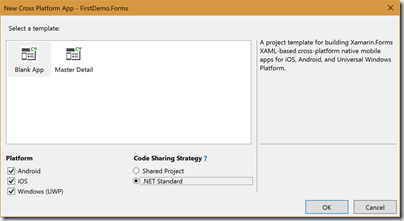 Prior to this release if you created a new Xamarin project it would create a PCL for your shared code (and yes, I’m ignoring the Shared Project option, cause this should never be selected), and it was rather painful to have to upgrade it to .NET Standard (see https://nicksnettravels.builttoroam.com/post/2017/08/26/Getting-Started-Xamarin-Forms-with-NET-Standard.aspx if you’re still on an older version of Visual Studio). Now when you create a new Xamarin project you get a .NET Standard library and you can pick which target platform(s) you want to target (I would encourage you to pick all, unless you have a particular reason not to!). Grab the latest version of Visual Studio 2017 and get coding! Recently we ran in to some difficulty with an Angular application that was being retrofitted into a different environment. During the initial development the Angular application had been pushed to Azure for testing. 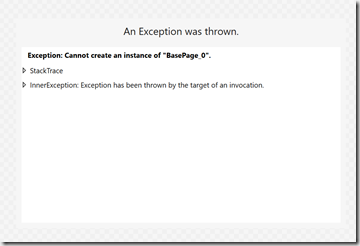 However, the final resting place for the application was on a on-premises sever. Whilst the switch was relatively painless, with the only major change being to a persistent file storage instead of blob storage, we also had to shift from our development Azure AD tenant (the Angular application, and the associated services, uses Azure AD to authenticate and authorize users), to the client’s Azure AD tenant. This shift required creating two new application registrations within the client’s Azure AD tenant. Unfortunately after creating the new registrations, and updating the Angular application (and the corresponding services), any attempt to log in with valid credentials resulted in a continual loop between the Angular application and the Azure AD login prompt. In this case we were only using Azure AD to authenticate users and other than controlling access to the application services there weren’t any other permissions that users would have to agree to. In the past I’ve posted about how administrators have to grant permission to users within their tenant to access an application (see https://nicksnettravels.builttoroam.com/post/2017/01/24/Admin-Consent-for-Permissions-in-Azure-Active-Directory.aspx). Usually there is an Azure AD login error when users attempt to sign in. In this case, for some reason we either missed the error message or it was being obscured by the automatic redirection between the Angular application and the Azure AD login prompt. The important part is that the error indicates that either the user or administrator has not consented to use of the application, and that there should be an interactive authorization request. This is a little cryptic but going back to my previous post we can simply add “prompt=admin_consent” to the login request – assuming an administrator logs in, they can then grant access to the application to all users in the tenant. This will give all users access to the application. If you have multiple registrations (eg one for the web site and one for the corresponding services), don’t forget to grant permission to both registrations. 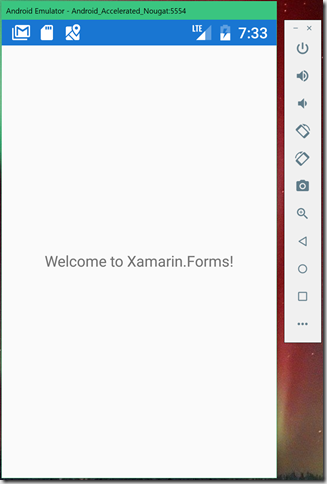 In my previous post on Getting Started with Visual States in Xamarin Forms using BuildIt.Forms I showed a very basic example of defining and triggering Visual States within a Xamarin Forms application. However, most applications have more complexity where each page is typically data bound to a corresponding ViewModel and it is the ViewModel which encapsulated the logic of the application. Let me walk through working with a ViewModel using the same basic example I started in my previous post. In this case I’m going to add another panel to the page which will be displayed after the user clicks the Login button, effectively simulating the experience of showing a progress indicator whilst the application is authenticating the user. <Label Text="Attempting to authenticate you..."
In this case I’m going to add a new VisualStateGroup to define the visual states to hide and show the AuthenticatingIndicator Grid. A VisualStateGroup is designed to hold mutually exclusive states. A page can have any number of VisualStateGroups, and at any given point in time the current state of the page can consist of being in one VisualState from each group. In this scenario we have broken the authenticating states away from the loading states because in theory you might want to disply both the AuthenticatingIndicator, as well as the LoadingIndicator. 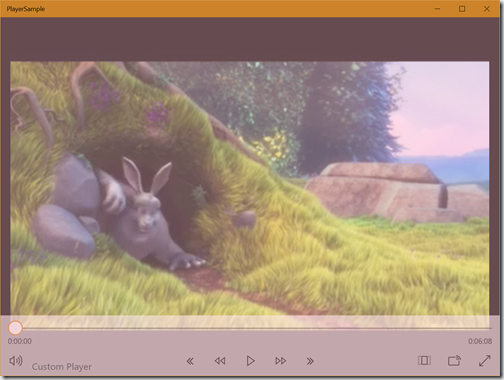 Now that we have the XAML defined, it’s time to look at how we can drive this from our ViewModel. In my case the page I’m working with is called MainPage.xaml, so I’m going to define a class called MainViewModel in a separate .NET Standard library. I’m not going to add a reference to BuildIt.Forms to the .NET Standard library because that would bring in a reference to Xamarin Forms, which should not be referenced by the library that holds your ViewModels – they should be abstracted away from any concrete interface, which includes Xamarin Forms, even though it is itself an abstraction from the native platform interfaces. What I am going to reference is the BuildIt.States library, which is a .NET Standard library that has no reference to any specific user interface framework, making it perfect for managing states within your ViewModel. Alongside the MainViewModel class I’m also going to define an enumeration where the names match the corresponding visual states: the enum type name has to match the VisualStateGroup name and the enum values have to match the VisualState name. The enum also has an additional value, Base, which is will be the default enum value. The name of this value is irrelevant but it’s important to have it as the first value and should not correspond to any VisualState name. The MainViewModel class includes a StateManager property. In this case the constructor calls the extension method DefineAllStates to define states for each value of the AuthenticationState enum. The BuildIt States library has a host of great features that are worth explaining but I’ll save that topic for another post. The important thing is that each of the states for the AuthenticationState enum are defined. The Login method simply calls the GoToState method prior to calling Task.Delay, to simulate attempting to authenticate the user, and then again calling GoToState to change the state back to the NotAuthenticating state. Now I’m ready to go – at this point the user experience is entirely defined in XAML, with all my logic, including the states, encapsulated within my ViewModel, ready to be tested. Over the past couple of months we’ve been working on getting the BuildIt.Forms library to a point where it was stable enough to promote and talk about. 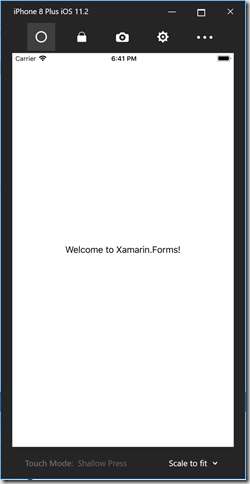 With the recent release of the 2.4 update for Xamarin Forms, we’re finally able to push out a stable release. 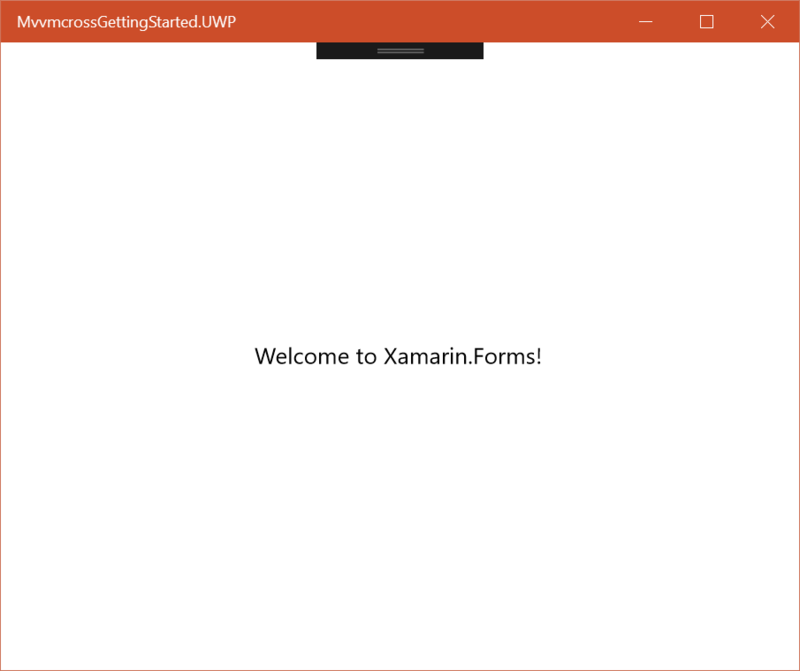 The BuildIt.Forms library brings with it quite a few features but probably the best reason to use the library is the support it adds for defining Visual States within your Xamarin Forms application within the XAML, just like you would if you were building using XAML for UWP (or any other XAML platform such as WPF etc). We’ve tried to stay as true as possible to the syntax for Visual States used on other platforms but like all things Xamarin Forms there are some differences that you’ll need to get your head around. Note that the default IsVisible value is false, meaning that the LoadingIndicator Grid will not be visible. In the codebehind of the page I can then add code that would show the LoadingIndicator Grid, simulate loading content (ie Task.Delay), and then hide the LoadingIndicator Grid. Of course in a real application you wouldn’t do this, as there should be at least a ViewModel that would do the loading but we’ll come back to the use of ViewModels later. For the moment, it’s enough to point out that we controlling the appearance of individual elements based on the state of the page (ie showing the LoadingIndicator when the page is in the loading state). 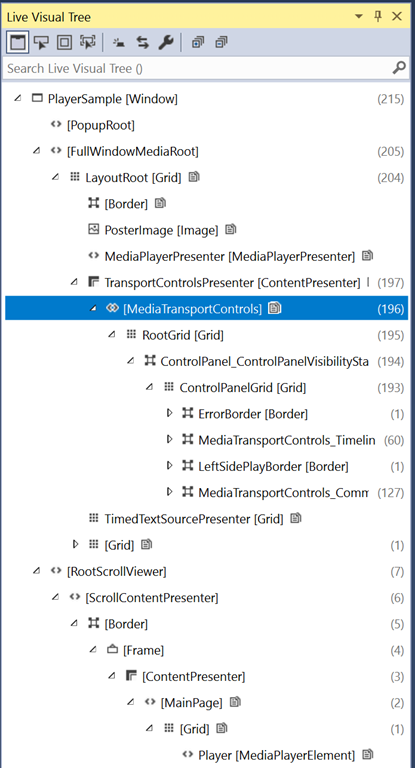 What would be great is if we could declare these states in XAML, which is where the BuildIt Forms library comes in. 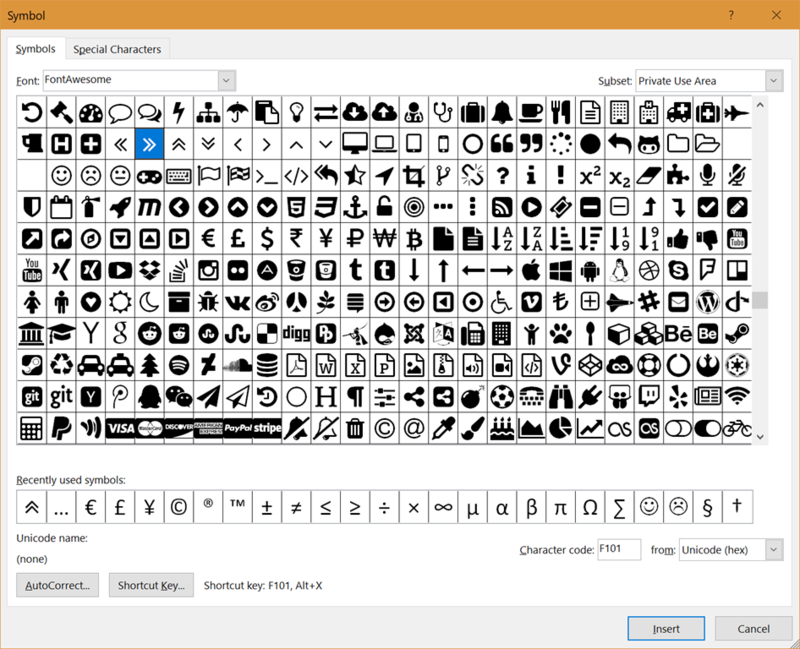 The important things to note are the names of the states: Loading and Loaded, and the use of a Setter element to adjust the IsVisible property on the LoadingIndicator element. Note that I didn’t need to set the IsVisible property to false in the Loaded state – this is because the default value of the IsVisible property on the LoadingIndicator is set to false, and the Visual State manager is clever enough to remember that when switching between states. In the past, this would have required more code in the code behind to adjust the IsVisible property on the LoginPrompt Grid in order to show the content. With visual states, there is no need to alter the logic of the application, I just need to adjust the Loaded visual state by adding a Setter to set the IsVisible property to true. At the moment I have built an interface that provides useful feedback to the user about the loading state of the application. However, there is a rather abrupt change between the LoadingIndicator Grid and the LoginPrompt. It would be nice to be able to add animations to make the transition smoother. Again without adjusting the logic of the application I can do this by adding animations directly to the visual states. The following animation can be added after the Setters of the Loading state. In this case the animation will be run prior to (ie a PreAnimation) any state change away from (ie a LeavingAnimation) the Loading state, and will fade the LoadingIndicator Grid out to 0 Opacity over a duration of 500 milliseconds. In this post I’ve covered the basics of creating Visual States. In my next post I’ll cover using states in a ViewModel and how you can link them to the Visual States on the page to give you a more testable application. 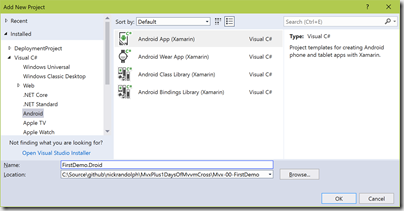 Hey, who moved my… Visual Studio Emulator for Android? As a long-serving Windows Phone developer I embraced this decision as the emulator was based on Hyper-V which meant that it played nicely with the Windows Phone emulators – I could now do cross platform development, even when I didn’t have real devices with me. Unfortunately, Microsoft have indicated that the emulator is no longer going to receive updates, so anyone wanting to dev/test on more recent builds of Android are out of luck. This was really frustrating as the emulator was both quick (relative to the out of the box emulators from Google – historically) and didn’t require another emulator sub-system (as it worked on Hyper-V). Recently, Microsoft have actively discounted Windows Phone, making it very hard to justify any developer resources on building for Windows Phone…. it also makes me question the value proposition of UWP over WPF, but that’s a topic for a different post. 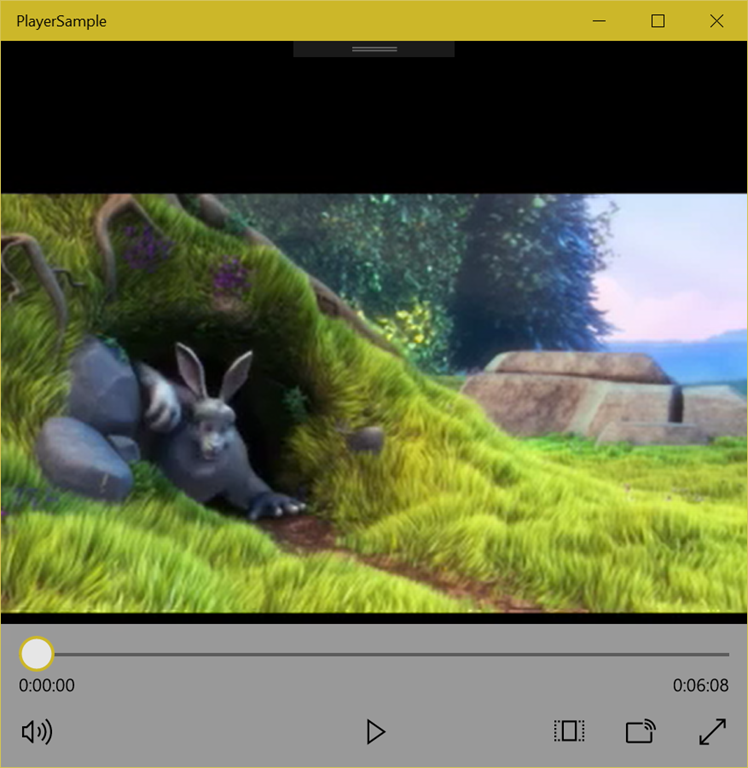 The upshot is that there is no longer a reason for me to have the Windows 10 Mobile emulators installed, which means I have no need for Hyper-V, which means I can use any one of the great Android emulators out there that don’t play nice wiht Hyper-V.
What’s really cool is that Microsoft have included the Google Android Emulator in the Visual Studio installer. You need to make sure that both the Google Android Emulator and the Intel Hardware Accelerated Execution Manager are installed. 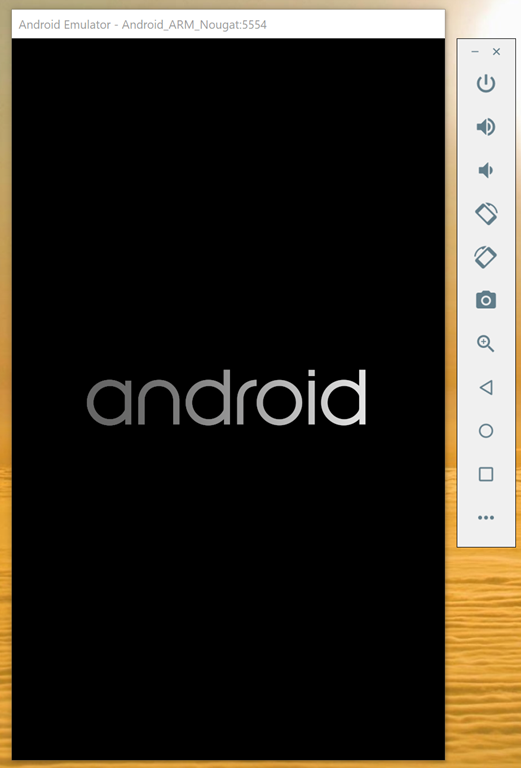 After installing the Google emulator you can launch your application on the emulator the same way you would to a real device – it appears in the devices dropdown. You can also access the different emulator images via the Android Emulator Manager. Whilst the Android Emulator Manager is not a great looking dialog, it does allow you to customise and launch the different emulators. I was so surprised when I launched the updated emulator. I was expecting an old, slow, crappy looking emulator but was surprised with an updated emulator shell with all the features that I’d come to expect from an emulator. I’m a convert – Whilst I’ll still use a real device for most development work, having a good emulator is critical for those times when I don’t have a device with me. Cudos to Microsoft for firstly pushing Google to build a better developer experience and secondly making the Visual Studio installer so simple to install the emulator. Sidenote: I did have to update one component from the Android SDK. Make sure you read the build output window in Visual Studio if you are running into issues as it pointed me to an out of date component. 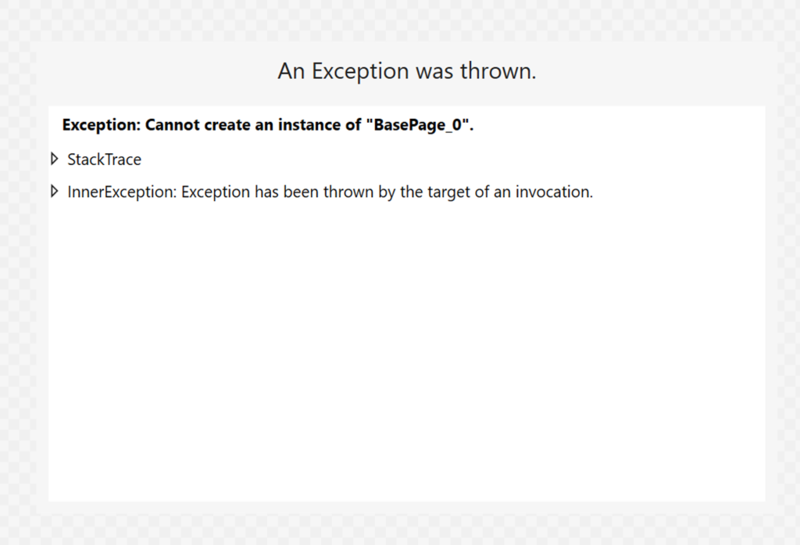 Exceptions in the designer a quite often a result of code being run by the designer that is insufficiently protected using try-catch, or has assumptions that some app startup code has run, resulting in an exception that bubbles up and causes the designer to fail. For these exceptions, I recommend checking out the post How to Debug the XAML Designer by Travis Illig, which uses another instance of Visual Studio to debug and hopefully identify the code that isn’t playing nice. 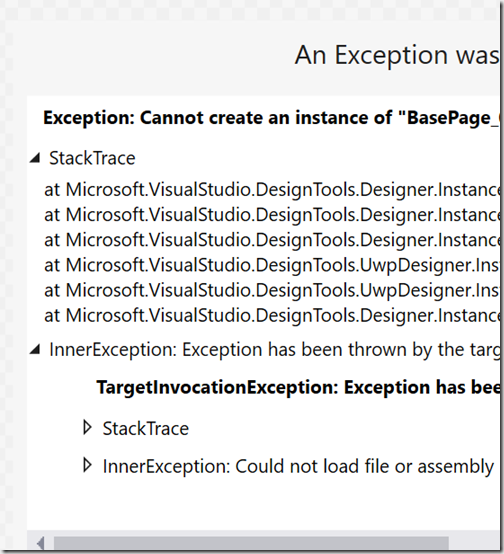 Unfortunately in our case, this didn’t help because Visual Studio (and same in Blend) was failing to resolve an assembly reference. One thing that Travis point out is that there is a ShadowCache folder located at C:\Users\yourusername\AppData\Local\Microsoft\VisualStudio\15.0_317bf9c1\Designer\ShadowCache (note that you’ll need to change both “yourusername” to be your username and perhaps even the 15.0…. to reflect the current version of Visual Studio. 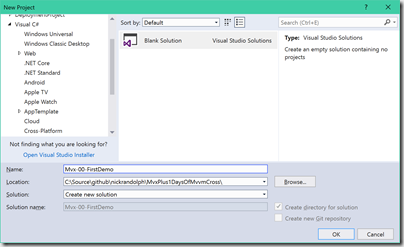 Change VisualStudio to Blend if you’re using Blend). Within the ShadowCache folder there will be folders created for each application where you use the designer, and then a series of “bin” sub folders that will contain assemblies referenced by your application. The issue we found was that we were referencing a nuget package that includes both a UWP dll as well as a .NET Standard dll. 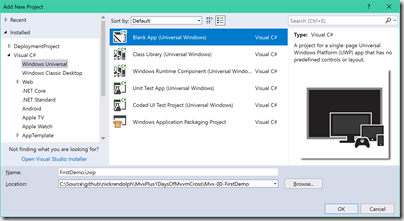 Whilst the UWP dll was being copied into a bin folder, the .NET Standard dll was not. Our fix for getting the designer to work was to copy the .NET standard dll into the same folder as the UWP dll. 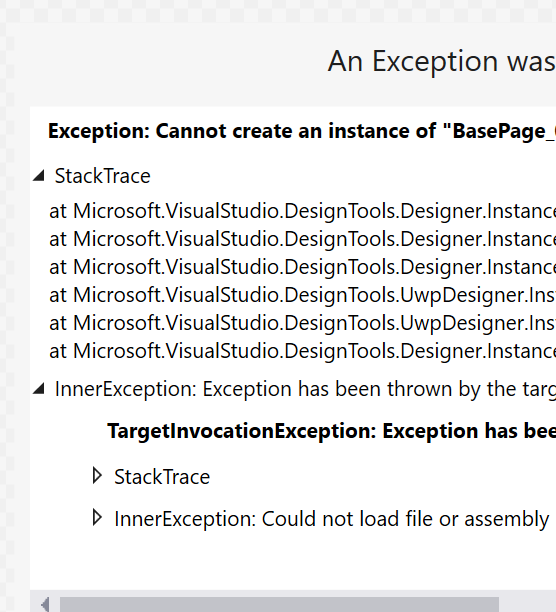 Unfortunately whilst this gets the designer to work, it is a sub-optimal experience as it appears that it needs to be done every time Visual Studio is run, or when the designer process is restarted.